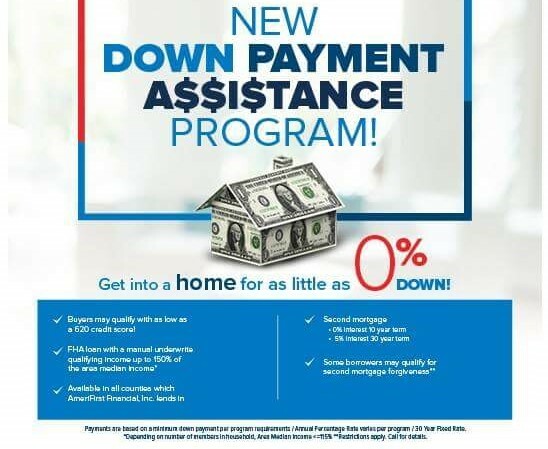 For Kentucky Home Buyers not eligible for the $10,000 Down Payment Grant from KY Housing, they have the following Down payment assistance programs below usually year around and available in every county of Kentucky. 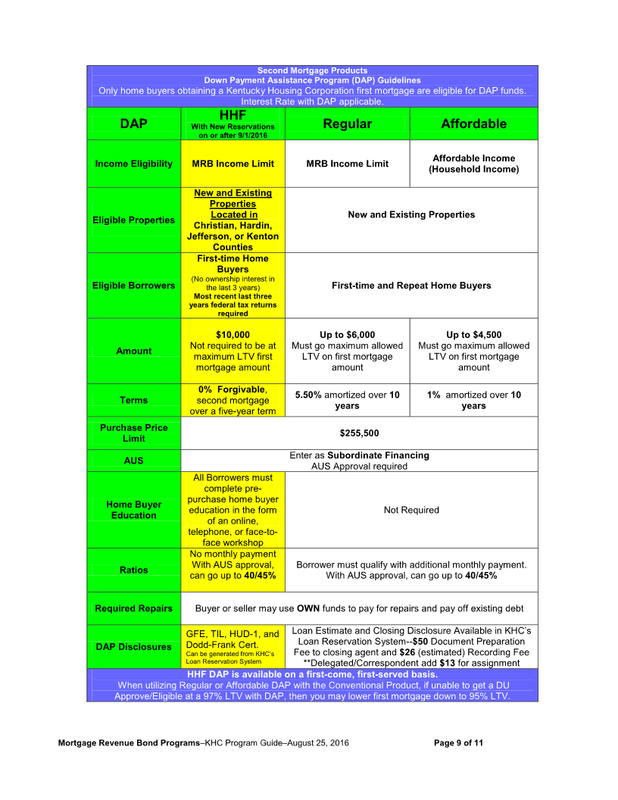 Purchase price up to $294,000 with Secondary Market or $258,690 with MRB. •Minimum 620 credit score required. Minimum 620 credit score required. 2. Check to see if the applicant(s) income falls under the Secondary Market Income Limits. a minimum $500.00 loan amount. Regular DAP is amortized over 10 years at 5.50%. 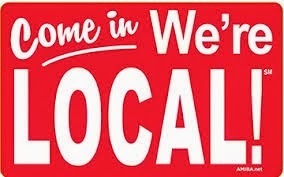 unit, and owner-occupied property, located in Kentucky. Then follow the steps below….